If you haven’t heard, a few weeks ago, ThePokerAcademy.com announced the upcoming launch of its brand-new course of instruction on seven-card stud. This course was built in conjunction with incomparable Twitch streamer and World Series of Poker bracelet winner Jason Somerville of RunItUp.tv. This amazing stud course is now live. If you missed the opportunity to get this course at a discount exclusively for Card Player readers, you can still take advantage of that deal by emailing The Poker Academy at studcourse@thepokeracademy.com and requesting the promo code. If you’ve ever been interested in becoming a mixed-game player, or being able to compete in some of the stud events at the WSOP or other venues, this is your opportunity to learn from a couple of the game’s best. Check out a preview of this course. 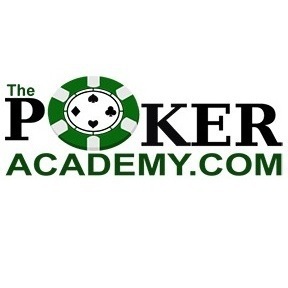 The Poker Academy provides comprehensive, high quality courses taught by professional players. The Poker Academy teaches poker in a way that makes learning easy and enjoyable. Poker is a game of decision making, and world class players consistently make better decisions at the table. The site’s vision and purpose is to help you achieve Better Results through Better Decisions®. Three-time WSOP bracelet winner Rep Porter is lead instructor for The Poker Academy, and three-time winner Ian Johns is the limit hold’em instructor. Poker pro Rick Fuller, who has made four final tables at the WSOP, is the site’s no-limit hold’em tournament instructor.